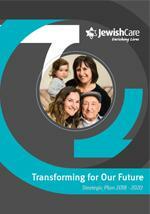 Everything we do embodies the spirit and cultural aspects of Jewish life. To purposefully live our Jewish values and to be responsive, respectful and inclusive of the unique and diverse needs of the Jewish community. Delivering outstanding client experiences, creating value through service coordination and case management. Embracing a client centric service underpinned by the principles of Choice, Accessibility, Relationships, Independence, Evidence-based, Advocacy and Diversity. Relevant, innovative, evidence-based programs supported by genuine community partnerships that enhance access to quality services for all people within the Jewish community. Facilities that are convenient, efficient and provide the basis for leading edge service provision. Supporting a vibrant, professional, contemporary environment where people with passion and initiative thrive. Attracting and invest in the best and brightest. Efficient and effective processes and systems that enable quality service provision and accountability. Ensuring financial sustainability that will secure future delivery of vital services. 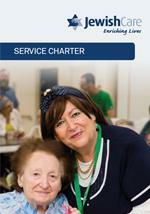 To position our brand to be top of mind in the Jewish community for service provision, giving and volunteering. To ensure repute, relevance and engagement in our immediate and broader communities.